The Cancer Prevention Fellowship Program (CPFP) is renowned for providing a strong foundation for scientists and clinicians to train in the field of cancer prevention and control. View the list of publications from CPFP. The multidisciplinary program offers individuals from varied health sciences disciplines postdoctoral opportunities and comprehensive instruction, including participation in research in the basic, quantitative, social/behavioral sciences, and clinical cancer prevention. 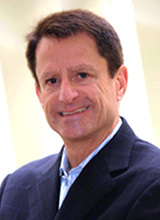 Raymond N. DuBois, MD, PhD will present the next CPFP Colloquia lecture, entitled, "Inflammation and Inflammatory Mediators as Potential Targets for Cancer Prevention or Interception". Date: April 30, 2019; Time: 11:00 am - 12:00 pm; Location: NCI Shady Grove Campus, Seminar 110, Terrace Level East. 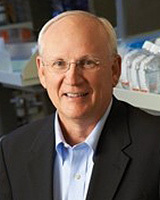 Scott M. Lippman, MD, Professor of Medicine at the University of California, San Diego, will present the 2019 Annual Advances in Cancer Prevention keynote lecture entitled, "Genomic Approaches to Immune Interception". Date: July 15, 2019; Time: 1:00 - 2:00pm; Location: NIH Main Campus, Masur Auditorium, Building 10. 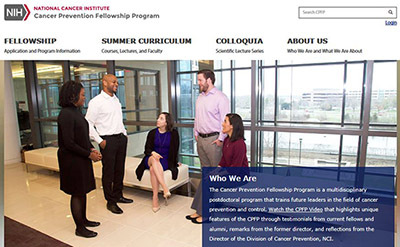 Every year, the Cancer Prevention Fellowship Program (CPFP) hosts the NCI Summer Curriculum featuring two courses: The Principles and Practice of Cancer Prevention and Control (PPCPC) and the Molecular Prevention Course. The program provides a multidisciplinary overview of the principles and practices of cancer prevention and control from both the public health and the basic biology perspectives.